Rarely have so many Unnamed Sources been so united with their innuendo. Mack Brown will step down as coach of the Texas Longhorns by the end of the week. Or, so they say. Yeah, I know, hold your yawns. But, here to pontificate on the sports “news” of the day, so I reflect that I’m not sure what Nick Saban’s doing right nowy? Probably breaking down film of Boomer Sooner, I suspect. But I do know what Bobby Petrino is doing. Sitting by the phone, praying it rings, that’s what. But, it’s Nick’s call. Will he go? Will he stay? I’m sure that you, as I, have scooted to the edge of your seat in eager, apprehensive anticipation. 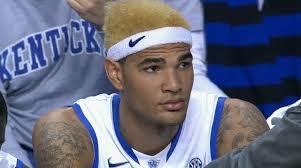 In the wake of Willie Cauley-Stein’s monumental day, I’ve got my own similar tale to tell. No, I never blocked nine shots nor grabbed seven boards in a game. You kiddin’? With my three inch vertical leap? But I did peroxide my hair once. In the summer before the 9th grade, on a trip to Chicago with some friends. As was often the case with such endeavors, my head locks turned out way more orange than blonde. I daresay there weren’t many others of you who caught the Arsenal/ Napoli game this afternoon. Don’t worry, this isn’t going to be about Champions League soccer. [Other than to explain the Champions League briefly. It’s sort of like the European futbol teams playing the NCAA based on last season’s records, while simultaneously competing in their various leagues as part of the current season. Which is not to mention the Europa League, which is like the NIT. [/ref] Let’s just say it was a really important match to determine which club would move on to the knockout stage from the group stage of Europe’s most important tournament outside the World Cup. 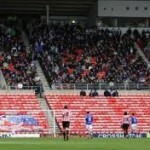 Despite the importance of the match, the lower stands were empty. Even emptier than those ridiculously expensive box seats in the New Yankee Stadium. Emptier than the Yum! last week when U of L played Rum Dum State on one of those balmy nights before this cold wave. Emptier than Rupp Arena.2I mean empty, like there was hardly anybody sitting in the first 15 rows or so. 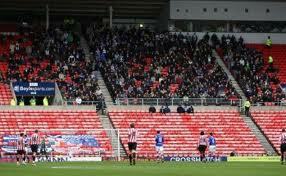 So, what is it with the declining attendance? Have sports entities, pro and “amateur” finally started pricing themselves out of the market? Have people finally started to realize you get a better view of the game in their recliners? And microwaving a batch of Orville Redenbacher’s is a lot cheaper than paying $5 or more for some stale, over-salted popcorn at the arena? I haven’t a clue, frankly, what’s going on in Naples. Other than, apparently, the mafia runs the municipality. But those seats looked mighty familiar. But, the trend is also apparent stateside, and is going to be fascinating to watch develop. Of course, those DC-centric pundits on PTI led with the story just now. I could care less.3 You? Plus I wonder whether Nick Saban might jump back to the pros. Well, not really. I’ll be glad when those nettlesome finals are over at colleges and universities across the land. This is the most fallow week of college hoops all season. Seedy….I thought you were slipping….after you knocked the Cards B-Ball attendance you dared mentioned that the “70,000 strong BBN” may not be quite, uh, so much. 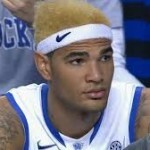 You did redeem yourself somewhat with a shout out to WCS’s hair dresser–while praising his incredible line against the Bronco’s 6’4′ centers and forwards. Well played, Seedy, well played! I CARE!! And if Tony K and Mike W do, I’m in darned good company. A certain restauranteur also has started a kickstarter campaign to raise (hang on) 6 BILLION to temp Dan Snyder, worst owner in the history of the NFL, to give up the team, and replace it with a Green Bay model. Si, Seedy. There are some of us who care (too much) about the Washington Professional Football team. And how bout them GWU Colonial Cagers?! The Herald Leader’s John Clay posted UK home attendance figures for the last few seasons, documenting the attendance decline. You can read it here. Other than to make fun of it and fill space here.